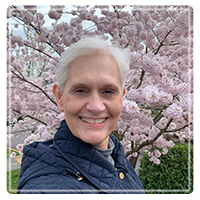 Beaverton Therapist: Danette Buchanan - Therapist 97008. Send A Message To Danette. Session Fees: Sliding scale fees 50.00 to 100.00 I accept cash, check or credit cards. Now accepting Multiplan and PHCS plans. Other payment options include: OPTUM, UBH and Regence BCBS and Cigna, Aetna, MHN and Magellan insurance and Providence. 50% at 1st visit if you mention this ad. I am a Licensed Professional Counselor with an M.S. in Pastoral Counseling from Loyola University, Baltimore, in 2009. I specialize in the treatment of how psychological dysfunction and matters of faith intersect. Many people want to utilize their faith tradition as they navigate through life's twists and turns, seeking answers, clarity and psychological relief. It may feel difficult to separate the two, but sometimes it is necessary to artfully discriminate emotions and feelings from one's belief system. This process helps people to take a step back and reflect on what is going on in their lives. There is great relief in separating the two, because it often reduces guilt, shame, and unrealistic expectations that may have brought a high level of distress to daily living. This process has a way of bringing a sense of order back to the client, and reduces the "inflammation" of the pain. I believe Pastoral Counseling is using the power and wisdom of your faith to address the "stuff" of life with confidence and resilience. When the rubber meets the road, it's the application of those principles along with appropriate mental health treatment that enables one to grow--even through significant pain and difficult challenges. I believe real change is permanent and that one does not need to return to the past over and over and again in defeat. I help my clients find their way back toward healthy marriages, improving communication patterns, connecting once again to the people around them, rediscovering their purpose in their daily lives, reducing anxiety, depression, and much more. I utilize a couples assessment called, Prepare-Enrich to help couples identify strengths and growth areas. If you want to learn more about this program, go to www.prepare-enrich.com. In addition, I am trained in EMDR, a very effective treatment therapy for those who have experienced trauma or abuse. Fees: $100 per 55 minute session. Sliding Scale Available. Accepting OPTUM, UBH, Providence, Providence Preferred, MHN, and Regence BCBS and Cigna, Aetna, MHN and Magellan insurance. I will accept cash, check, Visa, MC, American Express, and Discover. I grew up wanting to be a teacher, and then a missionary. But then I married a preacher right after high school and started college. I studied music education and for the next 23 years I taught public school music. In my mid-40's I felt called to change my career to Pastoral Counseling and have been doing that ever since. I love being a counselor! I still teach some music, but not as much! I have two grown sons who live with their wives and my 5 grandchildren. I know what it is to suffer serious and debilitating emotional pain. I am equally hopeful I can help you get through your challenges.